The Sheraton Subway Textured 5 Piece Towel Set features a drop pile grid design that creates clean, modern styling in your bathroom. 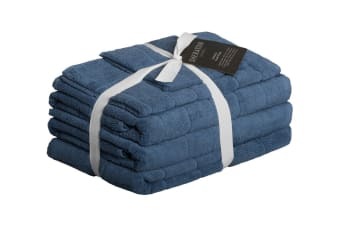 The Sheraton Subway Textured 5 Piece Towel Set is made of 100% cotton, using double pile construction to give the pile a full and even texture. This allows for greater absorbency and less shedding due to the even twisting of the yarn.